Don't know what to get her? 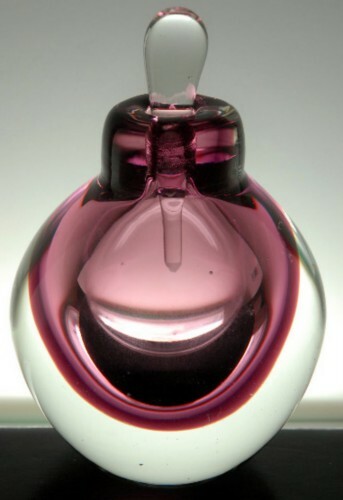 Here is our solution and also a green one: Our BARE "BARE" Perfume (signature fragrance) Bottle (BARE Double Wall Hand Blown Glass Perfume Flaçon) which is available in Amethyst or Smokey Topaz is available separately. You can purchase the bottle alone or let her choose from our 2 oz alcohol-free perfume refills (2 refills are needed) of BARE "BARE" Perfume (signature fragrance), BARE "BARE-LY LEGAL" Perfume, Bare "HEAT" (unisex) Perfume, Bare "ECSTASY" (unisex) Perfume and "DARE TO BE BARE" Perfume.